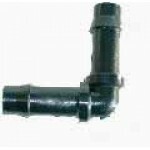 Your simplest choice for a drip system Leaky Pipe is robust, long lasting and has an even output. 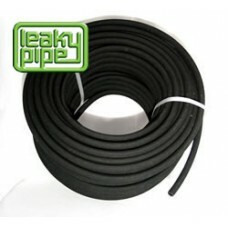 Leaky Pipe is made from recycled rubber. Totally porous - no concentrated water spots. No drippers or emitters inserted, the water oozes out evenly through the wall. Roots and soil cannot block the pores. Leaky Pipe works best if it has a covering of soil or mulch. Click on the video links below and discover the benefits of installing a Leaky Pipe Drip Irrigation System for yourself. Click on link for Garden Watering Assemby Plans which you may find of great assistance. Also known as "porous" or "weepy" hoses. Remember Leaky Pipe is smaller than standard hose for a more discreet and easy to install system. Leaky Pipe is not to be confused with the ‘amateur porous hoses’ which are the same size as standard hose. LEAKY PIPE the professional choice for easy even efficient watering.